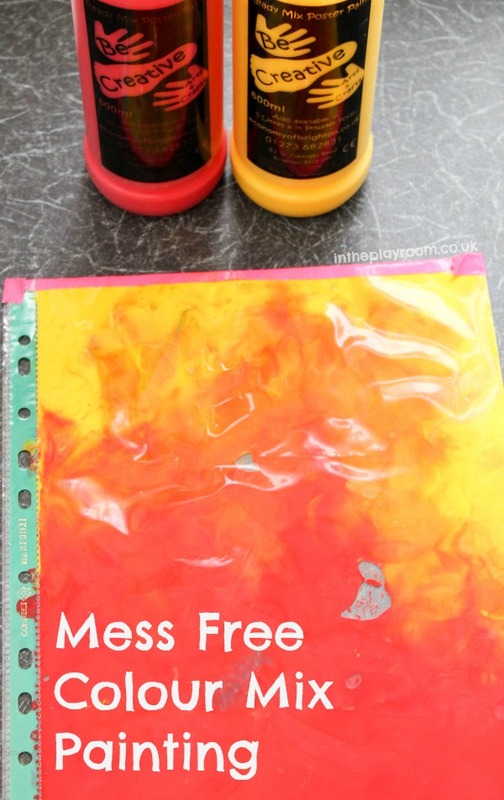 Mixing paint inside a ziplock bag or similar type of plastic bag or folder has to be one of the simplest mess free ways of painting. 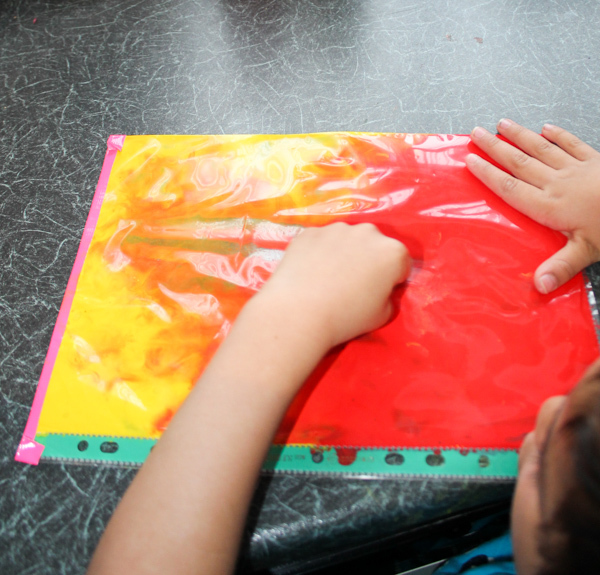 It’s also lots of fun and can make a great effect as the colours mingle together. This is a great activity if you have only a few minutes to spare, as it can be put together in just a couple of minutes and there is very little clean up afterwards. If you want to make prints of the painting to keep, then make sure to use paper but if you want to just enjoy the process and have fun mixing the paint then you can skip the paper and you will get slightly less clean up. First pour your two colours of paint into the bag or folder. Children can do this themselves. If you are using paper then pocket folders may be easier than ziplock bags, and insert 1 piece of A4 paper into your pocket folder first. 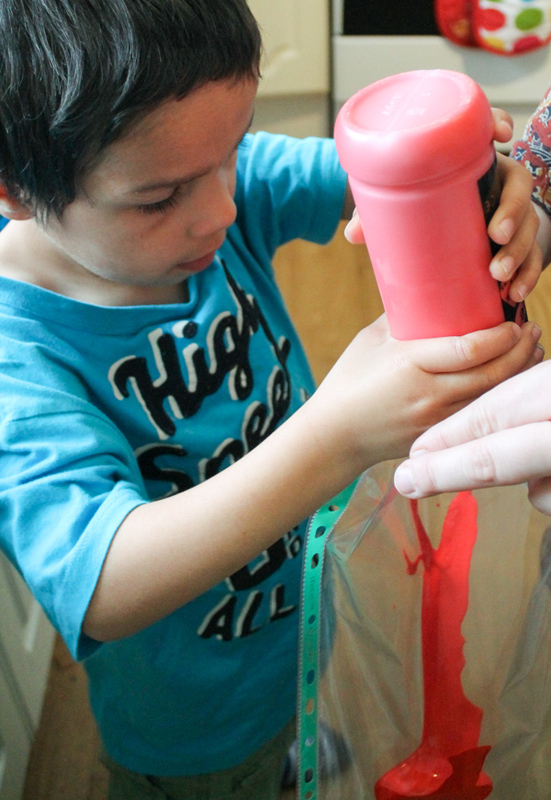 Once your paint is inside the plastic, tape it up so that kids can squish and push the paint around as much as they want without it coming outside of the bag or folder. 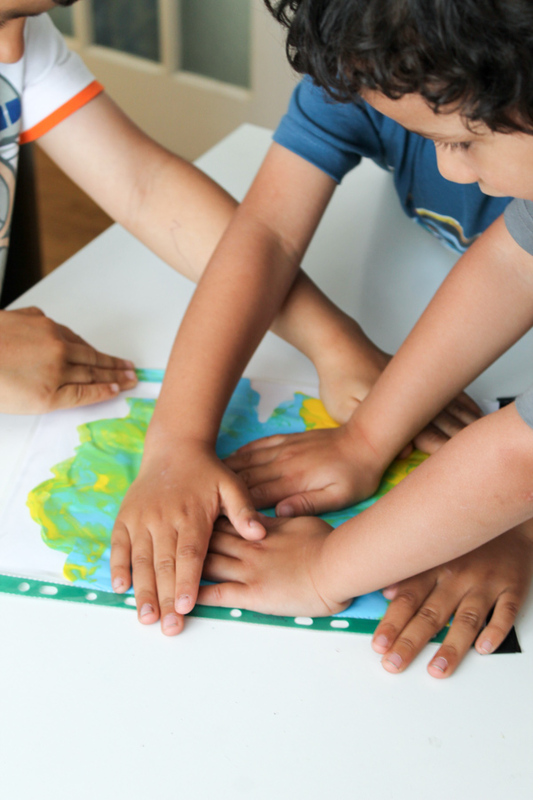 This activity works well for one child at a time, or for collaborative art. It’s fun to watch the colours moving around and mixing. 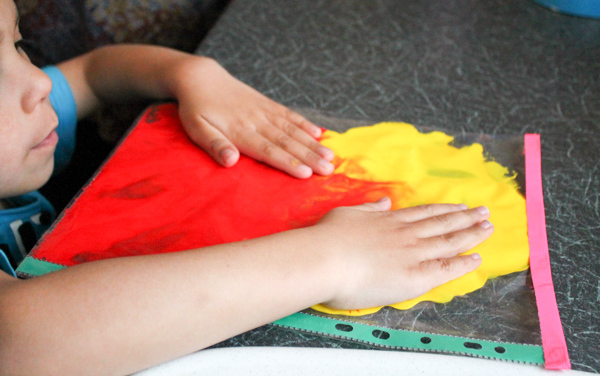 Kids might like to guess at the start what colour will be produced by the two choices they put in – eg: Red + Yellow = Orange or Blue + Yellow = Green, and see if they are right. 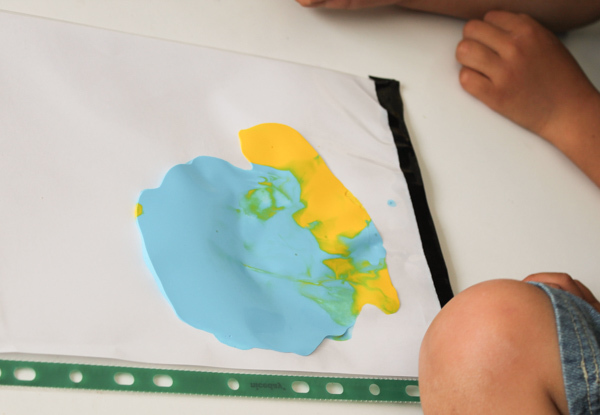 If your children learning about colour mixing or focusing on this as a topic then you could set up an experiment with different colour combinations and record the results on a chart. 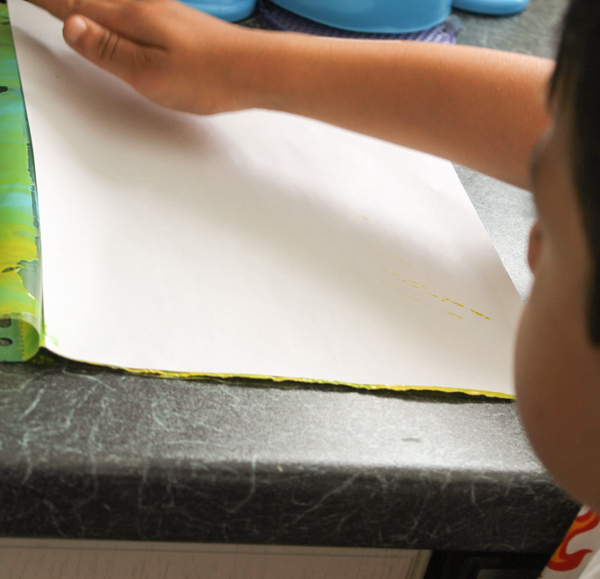 If you are using paper and want to keep the picture, then wait until the paint has dried and then cut it out of the ziplock bag or plastic file folder. You can also open it up while it’s still wet and use the original for printmaking. 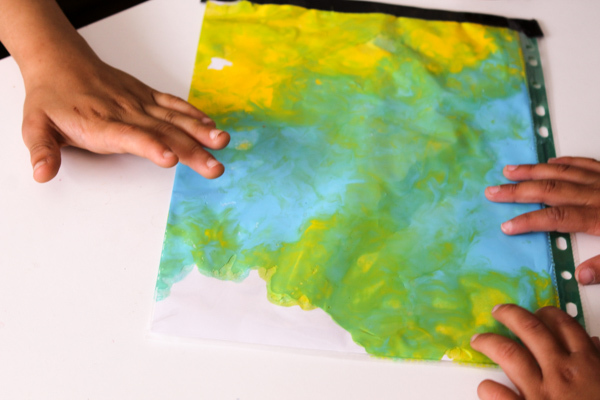 Children can place another piece of paper on top of their colour mix painting and carefully press it down, then lift up to reveal a copy of their work. They noticed though that each one does come out slightly different and unique to each other, since it depends on where you place the paper, how hard you press and other factors like this. 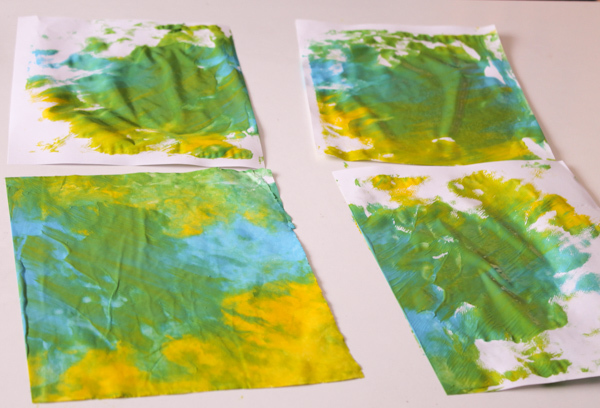 If you start making prints, this is a little more messy than just exploring the colours within the ziplock bag, so you can plan accordingly to do that or not, depending how much time you have available. Follow Anna – In The Playroom’s board kids Ideas and activities on Pinterest.